A dolphin carrying a dead calf made whistles that were longer and more complex than normal. The adult dolphin carried the limp, dead calf on her back. Occasionally, the dolphin, presumed to be the mother, would dive into the water, taking the carcass with her. A half-dozen Chinese white dolphins followed closely, while a larger group trailed at a distance. When the procession met a boat, the trailing dolphins formed up, pushing themselves between the vessel and the central group. “They were almost defensive,” says Matt Pine, a marine biologist at the University of Victoria in British Columbia, who watched the scene play out in Sanniang Bay, in southern China, in December 2014. Pine and his colleagues turned off the boat’s engine and lowered a hydrophone into the water, capturing audio of what they believe to be the sounds of dolphins grieving. Chinese white dolphins, like other cetacean species, use songs and whistles to communicate while resting, socializing, and feeding. But after analyzing the whistles from the central group, Pine and his colleagues found that they were significantly longer and much more complex than calls the researchers were more familiar with. The recorded sounds included a greater number of inflection points, where the pitch of the whistles changed abruptly. This heightened complexity signifies that the dolphins were communicating a greater amount of emotional information, the researchers conclude in a recent paper. Audio recordings of dolphins engaged in normal everyday activities, such as foraging and traveling, have a mix of whistles and buzzing sounds used for echolocation. Audio by Cheng et al. Given the current state of scientific knowledge, it’s difficult to say precisely what the dolphins were expressing explains Zhaolong Cheng, the underwater acoustician from the Chinese Academy of Fishery Sciences who led the research team. But there are obvious, measurable differences between the whistles dolphins use in various situations, he says, suggesting they are communicating different emotions or information. Cheng speculates that in this case, the dolphins may have been expressing grief. After all, he adds, the whistles share acoustic similarities with those made by Chinese white dolphins that have been injured. The journey of the dolphin and her dead calf is remarkably similar to that of the female killer whale J35, also known as Tahlequah, which captured the world’s attention last month when she carried her dead calf around the Salish Sea, off British Columbia, for 17 days. Like the Chinese white dolphin mother, J35 was also accompanied by family members. Yet in J35’s case, other whales would sometimes help her carry her calf. Compared to more typical dolphin whistles, those of the supposedly grieving dolphins had an increased number of inflection points, where the pitch changes suddenly. Audio by Cheng et al. J35 was not recorded during her ordeal, so scientists won’t be able to analyze her calls. Nevertheless, there was a notable incident when a group of females in the pod formed a circle around J35. “There was this heavy vocalization going on,” McWhinnie says, adding that although the calls are commonly made by these whales, the pod was much more vocal than normal. Pine and McWhinnie are both cautious about anthropomorphizing marine mammals. The most they can definitively say is that the animals they observed were distressed. Whether what they were experiencing is anything akin to human grief, McWhinnie says, we may never know. Katarina Zimmer is a science and data journalist based in New York. Her work focuses on the environment, wildlife, and oceans. Her work has appeared in The Scientist, National Geographic, The New Food Economy, and elsewhere. 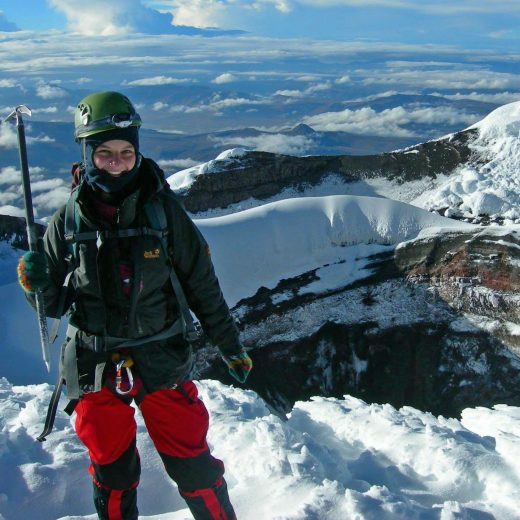 She has also built a machine learning algorithm to detect the species of bat based on audio recordings, climbed Ecuador’s highest active volcano, and raised a three-legged dog who likes to eat peas. Cite this Article: Katarina Zimmer “What Dolphin Whistles Tell Us About Grief,” Hakai Magazine, Sep 13, 2018, accessed April 26th, 2019, https://www.hakaimagazine.com/news/what-dolphin-whistles-tell-us-about-grief/. Why humpback whales rescue seals and why volunteering for beach cleanups improves your health. It’s almost impossible to witness skirmishes between dolphins and sharks, so researchers look to their battle scars for clues.